Home » MakeBadger's templates shop » Restrained business card for Priest. OBC-09. The classic priest’s card on the black background and Gothic font face. Suitable for any religious confession. Take a look at this online name badge template and feel free to use it as a base for your own creative artwork. 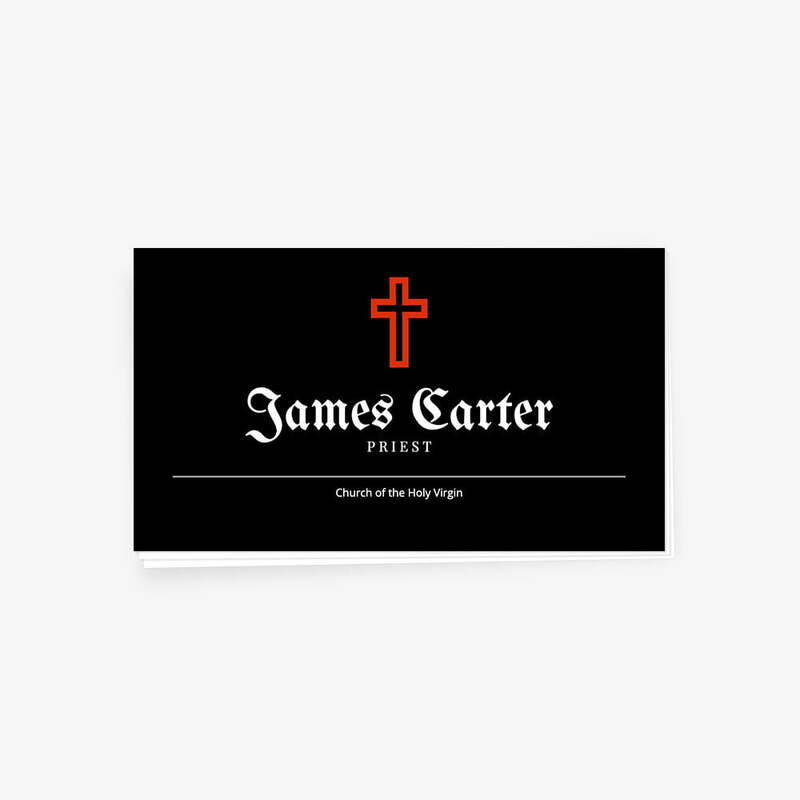 It is the classic restrained priest’s card on the black background and Gothic font face. Suitable for any religious confession.